I would like to thank Donna for welcoming me to her Friday Fun post. I thought that I would share a little about how Wildflowers came into existence and evolved into the novel that now stands. In doing this, I want to first share a little background: To begin, I will let you all in on a part of my personality. I’m an upfront person who doesn’t mind sharing with others my past experiences. I’ve been down many rough roads throughout my life, and I believe that by sharing the choices I’ve made and the consequences of them, I may be able to do one of three things: prevent someone else from going down that road, help someone already on that path to find an escape route, or pour a little healing oil on those who’ve already made it to the end of that highway. As I stand here today, I look down upon the face of the most beautiful woman I’ve ever known—inside and out. My heart quietly breaks as the attendants close the creamy white casket I picked out only yesterday. What do you say when you are officiating the funeral of the only woman you’ve ever loved; the young, teenage girl who saved your life when you were just a wild and crazy boy heading down a path of destruction? The blossoming lady you never took the opportunity to tell just how much you loved; the beautiful bride you watched marry another, someone who could never deserve such an amazing human being. The one person you desperately desired to tell exactly how you felt. The beaten down woman trapped in oppression and obsession who you wanted with your whole heart to save, but you couldn’t find the courage to do it. I intended to write Wildflowers in first person, and the voice was meant to be a friend from high school Susan had helped, and he was secretly in love with her. 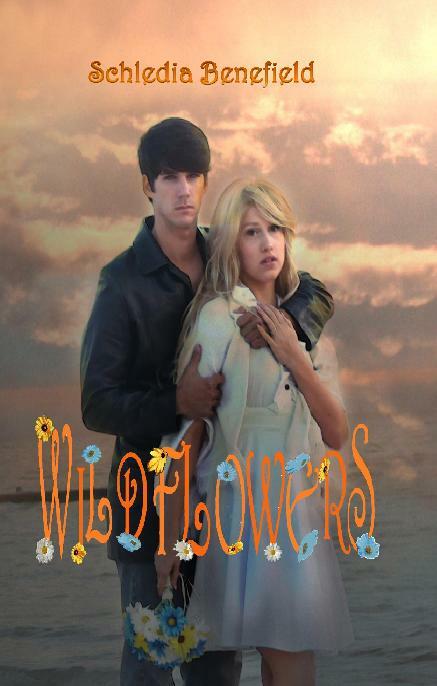 That scene was going to be the preface of the book…BUT when I finally sat down to write Wildflowers three years later, it turned out to be a very different story. For two solid weeks before I started writing, I had dreams every night about Wildflowers and how to reconstruct the story with flashes from the present to the past. It was then that I decided that it was best to write this particular story in third person, omniscient rather than first person. Everything about my protagonist and antagonist in the story changed during those dreams. The only similarity to the original idea I had was the title, Susan’s name, and her plight of an abusive relationship. I wasn’t discouraged by the whole idea being shifted; I was exultant! I knew in my heart of hearts that all the changes I saw in my dreams would make Wildflowers a better story. Check out today's Pub Day Book Blast to enter for a chance to win a $50 Amazon Gift Card.